According to The Associated Press, truck driver Holly Averyt was injured after slipping on a grease spill while making a delivery to a Walmart in Greeley, Colorado. The slip led to injuries that required three spinal surgeries. Additionally, Averyt was unable to return to work and subsequently lost her truck. The trial court jury awarded Averyt $15 million, after which Walmart appealed to the lower court, claiming the award was not supported by the evidence. The Supreme Court of Colorado heard the case and denied Walmart a new trial, holding that the evidence did support the verdict, but reduced the award to $10 million as a result of the state cap on noneconomic damages. This case is a perfect example of how a simple slip and fall can lead to debilitating and life changing injuries. Averyt, through no fault of her own, suffered injuries that changed her life forever. 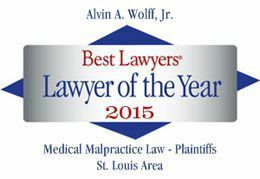 If you or someone you know has been injured as a result of a slip and fall, please contact our office at alvinwolff.com or 314-241-2500 for a free consultation. For more information on this story, please visit http://www.google.com/hostednews/ap/article/ALeqM5juntdcHE2aw08_AR5pEWjavd7Ebg?docId=8f3880d7be7545adad69338371d9b031.